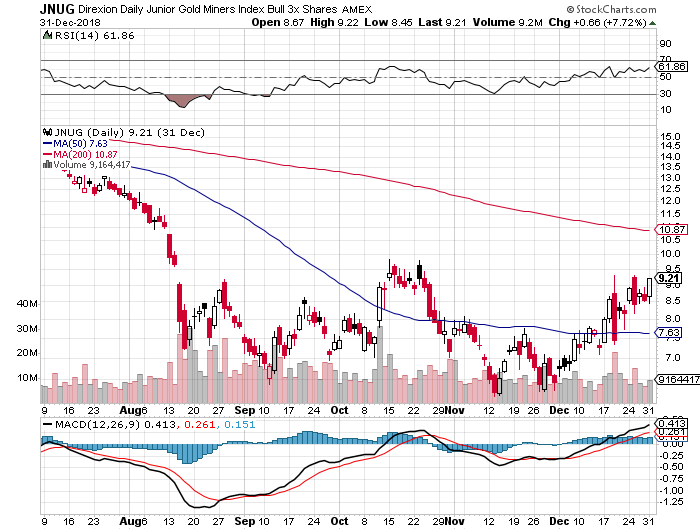 JNUG seeks daily investment results, before fees and expenses, of 300% of the performance of the Market Vectors Junior Gold Miners Index (GDXJ). This leveraged ETF seeks a return that is +300% of the return of the benchmark Jr Miners index for a single day. This fund should not be expected to provide (+3x) three times the return of the benchmark’s cumulative return for periods greater than a day.